Last fall I got an old Polaroid 600 camera from my father-in-law. 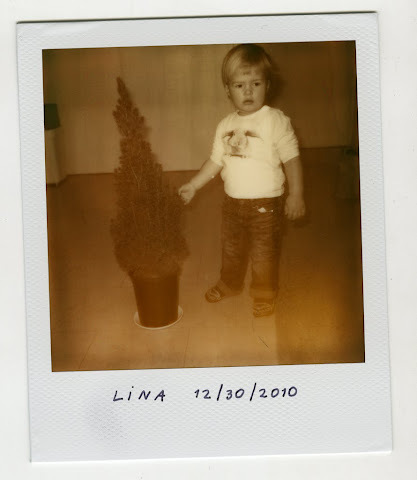 Using Impossible Project PX 600 Silver Shade instant film I took a photo of my friend Nadine's 2 year old daughter Lina just before New Year's. There is something magic about instant film!